This book has been on my To-Read list for years. More than a decade, really. My fascination with Ernest Hemingway dates back to tenth grade when I went on a school trip to Key West to study him. We had to read The Old Man and the Sea, plus a smattering of information about his upbringing, authorship, and tragic end. He was a troubled man and released his lamentations through drinking, travel, adventure, and writing. Here’s another link – to the scene when Gil realizes he’s stepped back in time and is rubbing elbows with yet-to-be famous writers. And finally, there’s The Paris Wife by Paula McLain, one of my favorite books ever. It’s a fictional account from the point of view of Hadley, Ernest’s first wife, during their stint in Paris. Though Ernest’s life was always troubled, Hadley suffered the earliest brunt of it as she longed for a traditional marriage and family life even as her young husband tried to establish himself as a writer. 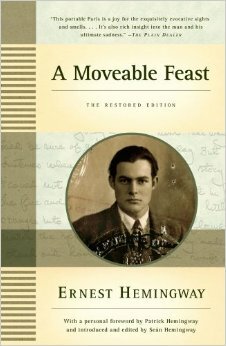 This brings us to A Moveable Feast, Hemingway’s own account of his time in Paris in the early 1920s. With a working knowledge of this historical period, it was a treat to read about the experience in Hemingway’s own words. Broken up in anecdotes and short tales, Hemingway hits all the high notes: his romance with Hadley and the birth of their son, Bumby (a nickname), his late-night visits to Gertrude Stein’s house and meeting Picasso and getting her advice on writing a good story, a trip with his pal Scott (as in, F. Scott Fitzgerald) to Lyon to retrieve a Renault, his transition from journalism to full-time fiction writing, and the process of writing and editing The Sun Also Rises. There is also a lot of wine and a little whisky. And yet, his writing style interests me, that modern stack of tightly written sentences. 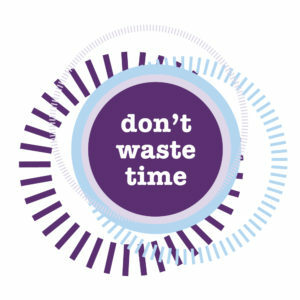 No fluff, nothing unnecessary. His editing process must have been bloody. A Moveable Feast won’t interest most people, so I’m not recommending it unless you are genuinely interested in Hemingway and his experience in Paris. As for me, it was pure delight, especially when he writes about waiting for Scott to get him a copy of The Great Gatsby so he can finally read it. I mean, can you imagine? Buy A Moveable Feast here.